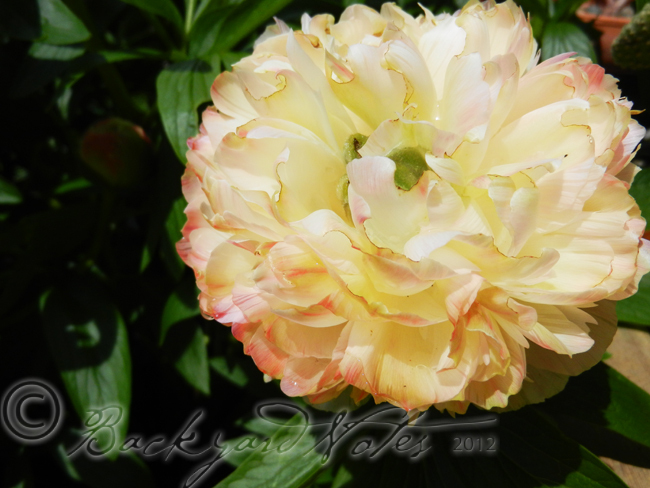 THE FLOWER OF THIS TREE PEONY IS THE MOST SHOWY FLOWER in my garden. It has definite WOW factor for me every year. 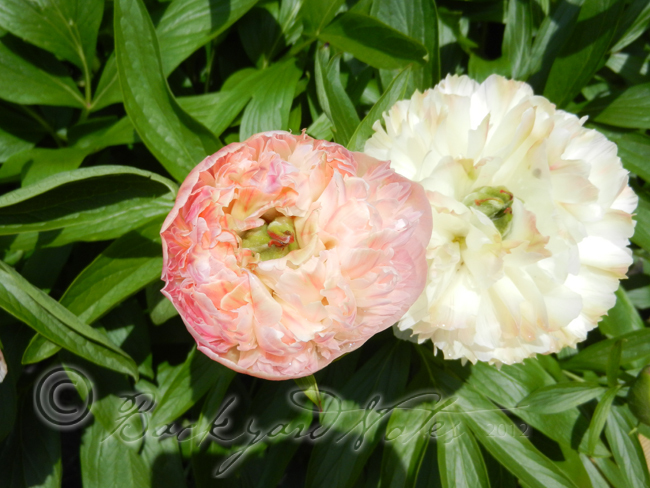 Only two flower buds this year; one was broken by a windstorm last month. 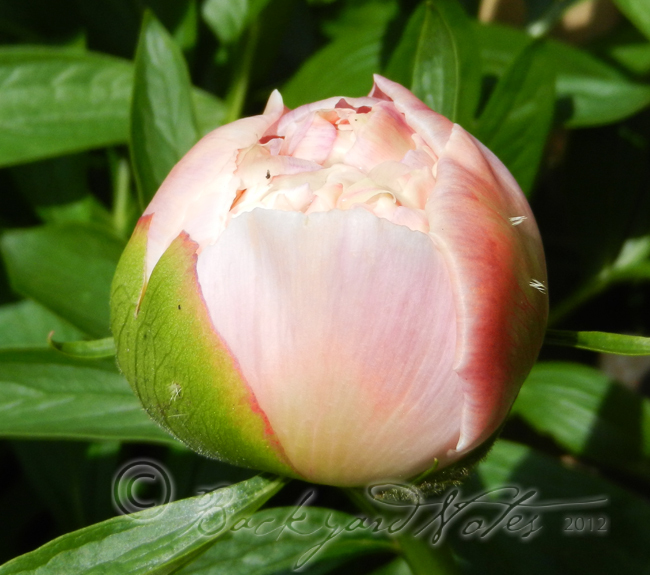 Back in March with this post I noted the emerging buds of this peony. 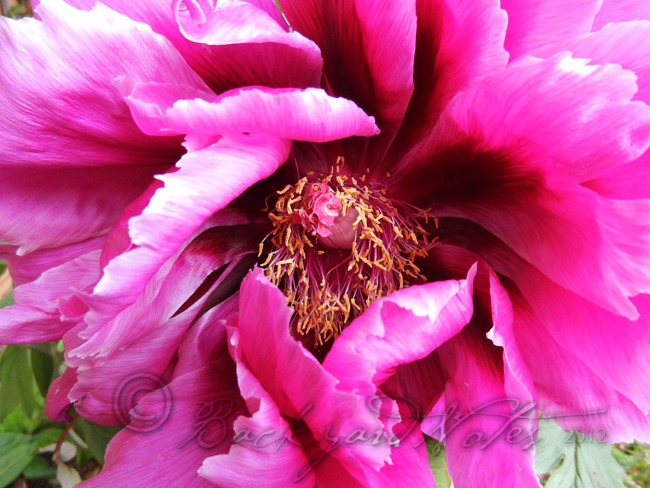 Now it is in various stages of blooming and practically shouts “I’m ready for my close-up now”. As I have noted before, I have no idea what this variety is since it bears no resemblance to the ‘Flame Heart’ that I had ordered. I am charmed by it anyway. 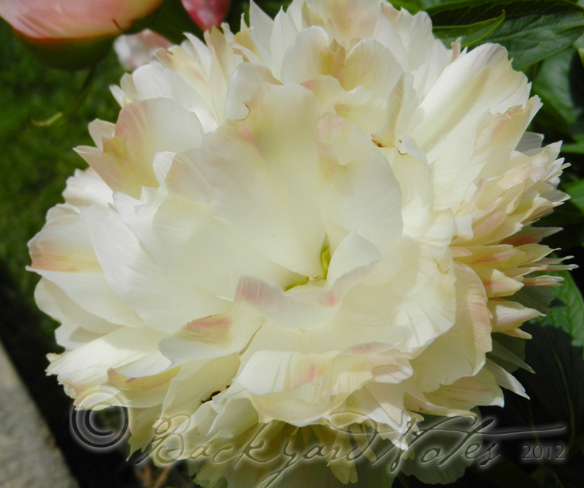 A gradual transition from pink to pure white and far from the anticipated red!